On tour with your motorhome or your caravan? We would happily give you a warm welcome at Lappeasuando. We can offer you lovely situated pitches with electricity and access to restrooms, showers and sauna. We also have a waste treatment area. 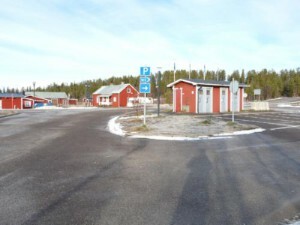 Pitch for motorhome or caravan 130 SEK incl. electricity. Sauna 100 SEK per Person.